Neurological diseases have affected millions around the globe, and are known to be one of the worst kinds of maladies that can strike absolutely anyone. There is no surety regarding the onset of these diseases; some of them can strike during childhood, whereas others can affect even highly aged people. From innumerable neurological diseases catalogued until now, some of them occur in high rarity, this leading them to be grouped under the rare neurological diseases category. And as the availability of cases of these maladies is less, these ailments constitute a distinct rare neurological disease treatment market. This market is mainly expected to witness boundless growth owing to rising number of initiatives taken by several healthcare organizations to provide adequate care and treatment to those affected. Carrying out extensive research and development in order to improve the efficiency of treatments is also expected to propel the rare neurological treatment market to experience rampant growth in future. Creutzfeldt-Jacob Disease, Batten Disease, Cantu Syndrome, Bobble-head Doll Syndrome, and Rett Syndrome, are a few well-documented rare neurological diseases. Treatment processes for these may vary from disease to disease, as well as according to intensity of the malady, age of the afflicted person, and other factors. Those afflicted by these diseases hardly live more than few years, and in many cases, those affected have known to die in just few months. Even though these diseases are rare, they have mainly been documented in North American countries such as USA and Canada. This is mainly due to a highly advanced healthcare system present in these regions, which has certainly helped in easier identification of the ailments. Moreover, a strong medical infrastructure along with favorable initiatives by governments and other organization to treat such diseases has also caused this region to depict extensive presence of the market. The global rare neurological disease treatment market is projected to get a shot in the arm with increasing initiatives taken to improve patient care and rising focus on new drug formulations. New potential areas of research and development are keenly investigated into by pharmaceutical firms as a result of the decline in the number of blockbuster drugs. Drug manufacturers are encouraged to come up with new drug formulations with attractive incentives offered by official healthcare and government authorities. Research and development investments could showcase an increase because of regulatory advantages such as tax incentives, reduced fees, longer market exclusivity, and breakthrough therapy designations. 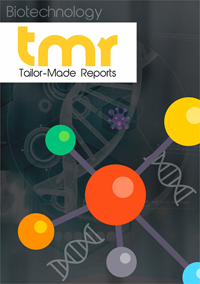 The world rare neurological disease treatment market is foreseen to expect high growth while riding on increasing awareness about such diseases and their improving visibility through different government initiatives. Some government bodies are taking efforts to provide access to suitable treatment options and advising to affected families. Rising efforts to accelerate diagnostic procedures for rare neurological diseases could be another factor augmenting the demand in the market. Biologic drugs are anticipated to gain a high demand and generate a telling amount of revenue through sales in the coming years. Nevertheless, there could be more drugs advancing in the market. Genetically engineered to model a predominantly, an inherited, and a rare neurological human disease called ataxia telangiectasia (AT), the ExeGen ATM MiniSwine has been cleared for commercial use by the FDA. In regard to the model, the FDA has exercised enforcement discretion. This powerful investigational platform by Exemplar could be offered to drug developers, researchers, and scientists looking to develop innovative therapeutics and define disease mechanisms to address AT’s pathologies. It is expected to enable improved predictive efficacy and superior translational research. North America is envisaged to rake in a handsome demand for rare neurological disease treatment because such diseases are considered to be a serious health concern. However, some researchers say there are only a few people affected by rare neurological conditions. The demand for rare neurological disease treatment could be high due to lack of sufficient options and complications of the disease. Moreover, healthcare and government institutions in the region are collaborating to develop a strong research network for the purpose of allowing advancement in rare disease treatment, enrollment in studies and trials, and data sharing. Players operating in the international rare neurological disease treatment market are profiled based on their share, recent developments, finance, business strategies, and company portfolio. Some of the popular names of the industry are Teva Pharmaceutical Industries Limited, Medtronic Plc, and Johnson & Johnson.